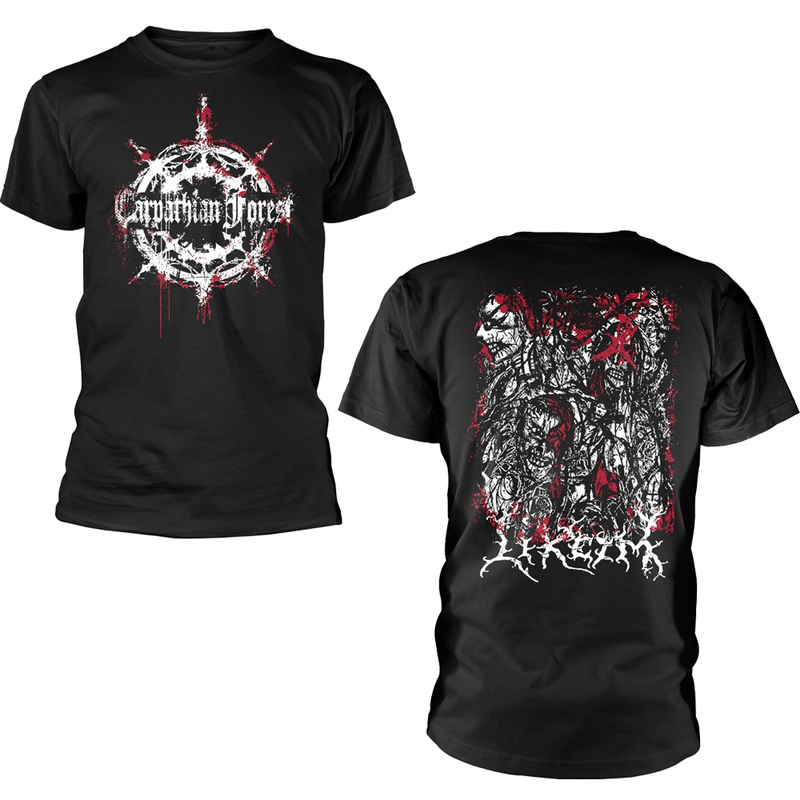 Carpathian Forest is a Norwegian black metal band formed by Nattefrost and Nordavind in 1990. Carpathian Forest is enjoying near cult status in the scene. Emerged at first with the demo tape "Bloodlust & Perversion" (1992), they received sudden enthusiastic responses from the underground. Their obsessive, morbid and grim sound has always been a firm trademark. In 1993 the band released a second demo "Journey through the cold moors of Svarttjern", showing also a new approach to atmospheric, but still glacial tunes. These tapes quickly became coveted items in underground tape traders networks. One year later, Forest signed to Avantgarde Music and recorded their first mini album, the black metal classic "Through chasm, caves and titan woods" (1995), followed by the debut album Black Shining Leather in 1997. In 1998, Carpathian Forest came back with a successful release, after three years of silence. Carpathian Forest are to play the first concert in 1998 at the Quart Festival, Kristiansand Norway supporting Immortal and Satyricon. And for that occasion Tchort (bass), A Kobro (drums) and Vrangsinn (synth) are brought in as session musicians for that concert. The Under the black sun festival in Germany holds CF as headliners and both founder members were interested in continue with the new line-up on the coming recordings. A short studio session December 1998 with Tchort and A Kobro now being permanent members in CF, resulting in He's Turning Blue 7" picture ep, shortly after followed by the recordings titled "Strange Old Brew & Morbid Fascinations of Death" (recorded at the same time and is produced by Terje Refsnes in Sound Suite studio in Sandnes), Strange Old Brew containing the oldest material beeing released first through Avantgarde Music and Morbid Fascinations of Death coming out one year later . : Nordavind left the band after the Strange/Morbid studio session of personal reasons with Tchort beeing promoted as guitarist and Vrangsinn went to play the bass-guitar and now introducing Bloodpervertor for keyboard duties on the following tours.